Creations of Bastet would like to say a very Happy New Year to everyone who sees this. 2015 was a long year but it saw a lot of growth in areas and some failures in others. Updating this blog regularly was one of those failures. But it is not one that will be allowed to continue. There are plans in the works. Plans that will hopefully continue to grow things here at Creations of Bastet. The biggest goal I am setting here at Creations of Bastet is to not just focus on the Etsy side of things and share more here at the blog. One way to do that is going to be to set up a separate instagram that will show things in progress. Up until now I have only showed my WIP on my personal feed and Facebook. That will change. I want you to see how projects come along. Perhaps you will see one you like, or perhaps you will like the basic design but want it made custom. All of this can be done for you. So watch this space and welcome to 2016. Sorry it is delayed but here it is as promise the Furls crochet hook giveaway! Brought to you by Birth of a Notion & Creations of Bastet. This is your chance to win your very own hook! 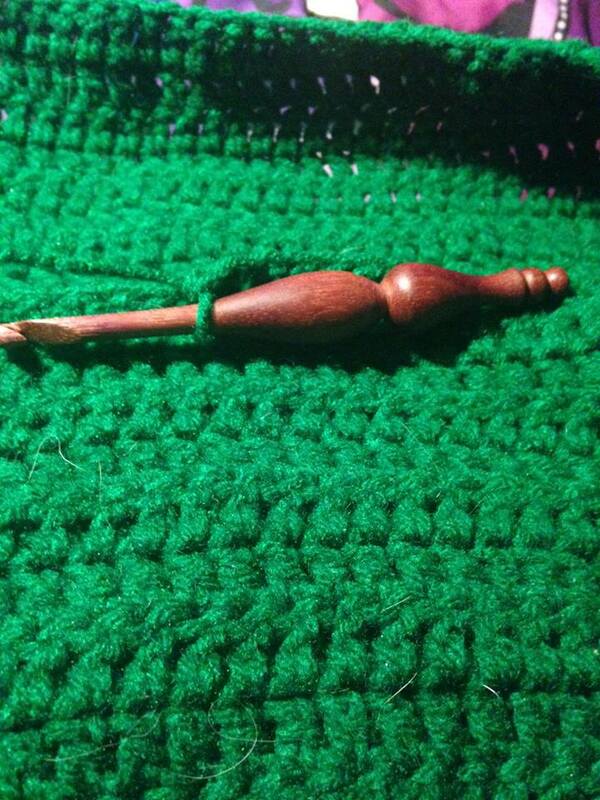 This give away is for a custom choice Heirloom Wooden crochet hook. 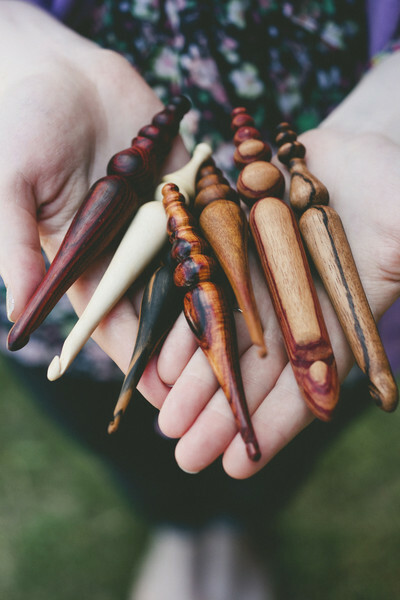 You will be able to choose the size of hook you want between 3.25mm-15.00mm and the choice of wood you want from the selection of Furls woods which include, Tulipwood, Rosewood, Blackwood, Cocobolo, Purpleheart, Bloodwood and Olivewood. This contest will run for 1 week from 9/1/15 until 9/10/15 12 Midnight Eastern time! Good luck! Anyone who has read my blog or hung out with me for more then 5 seconds knows how much I love to crochet. I have been crocheting for about a year and a half now and I truly love it. I feel a certain amount of Zen when I am happily hooking away. So if you are looking for a little bit of Zen, why wouldn’t you want to have a fantastic tool as well? That is where the Furls crochet hook comes into play. As you can see by these pictures this is not just a tool but a piece of art. 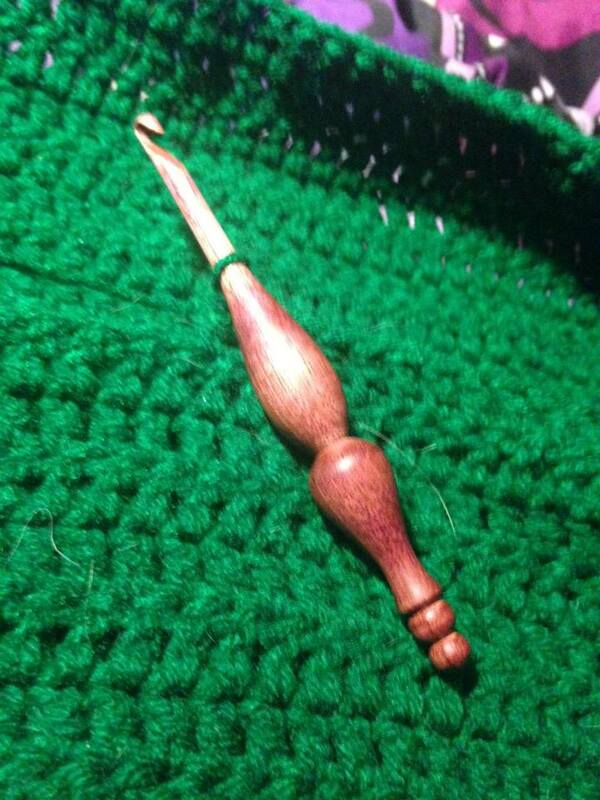 A truly beautiful crochet hook to look at. The hook that I am blessed to have is from the Heirloom Wooden hook line. I have a size J hook and the wood I have is purple heart but you can choose from several kinds of wood. Each of the furls hooks is handmade just for you when you order it. The best thing about these hooks? Not only are they beautiful and stunning to look at but they feel fantastic as you crochet. I am a person that likes to crochet for long periods of time when I can. If I have a day off from working I have been known to crochet for 8 hours or more, the biggest problem that happens when I crochet for these long periods of time is hand fatigue. It almost never fails that my hand will cramp up, my fingers will get sore and I have to take a break from the project I am working on to rest my hand. This has not happened for me yet while using my Furls hook. I made sure to test this hook a great deal before I sat to write my review. I completed the last half of a Queen Size afghan, two shawls, a baby blanket and started my Dad’s Christmas present (an Afghan that is 300 stitches across) so far I have not had any hand fatigue. The furls hook fits my hand like a glove and truly is comfortable no matter how long I have been working on a project. The wood is smooth and stays cool (no slipping due to hand sweat) and very light weight compared to other hooks I have used. I would highly recommend the Furls hooks to any of my fellow crochet friends. Not only do you get a fantastic tool to work with you have a piece of art right in your hands to help you create more art. I plan to make a Youtube video of how this hook works for readers to see as well! Furls crochet hook has arrived. Furls makes beautiful crochet hooks, they have two lines of crochet hooks both are designed with the hand in mind. They have a line of Candy Shop hooks, which a fellow crochet friend of mine uses and loves. There is then also the Heirloom line of hooks which are made of wood. I have been lucky enough to get one of the Heirloom hooks to use and review. It has arrived! Not the best shot, but I wanted to share right away and jump up and down! It is here and I am going to be using it on my very next project. Last night I started making a baby papoose for one of my kittens which does not need a J hook, so as soon as I finish the papoose it is time to start another shawl or blanket or something!